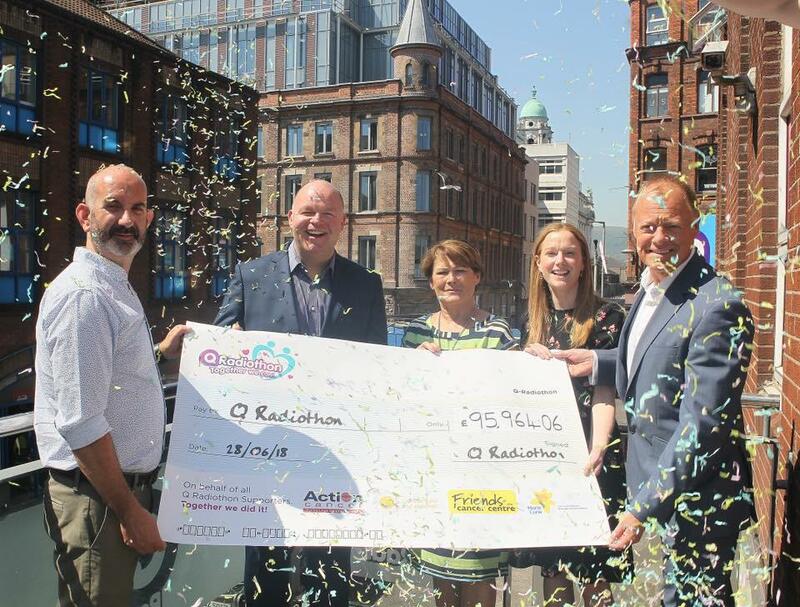 Following a three-day fundraising marathon, the inaugural Q Radiothon has raised almost £96,000 for four of Northern Ireland’s leading cancer and end of life charities. Action Cancer, Friends of the Cancer Centre, Marie Curie and Cancer Fund for Children are the four equal beneficiaries of all money raised. Money raising initiatives included big brunches, a dedicated dress down day, on-air presenter challenges, as well as the chance to bid for your business to host a future Q Radio show. 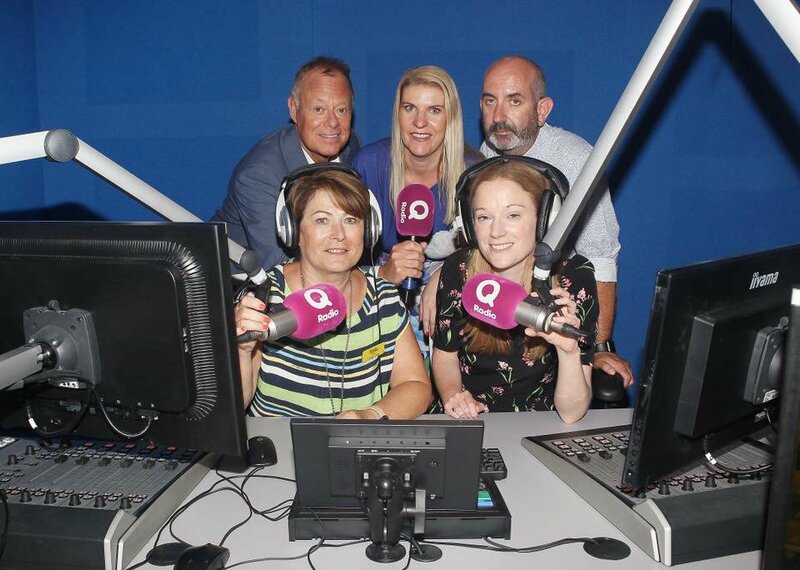 For the first two days of the Radiothon, the Q Radio studio relocated to the Cancer Centre at Belfast City Hospital, home of Friends of Cancer Centre, and welcomed a host of famous faces, who were keen to voice their support. Managing Director and Head of Programmes Robert Walshe commented: “When we all sat around a table in September of last year and discussed the Q Radiothon concept for the first time I knew immediately that we were about to embark on something very special. “From then until now it has been a joy to watch the four leading cancer and end of life charities work together to ensure the inaugural Q Radiothon was a complete success. “On behalf of all four charities and Q Radio, I would like to thank all of our stakeholders who gave their time, resources and enthusiasm so freely. Q Radiothon would not have been possible without them.